Excellence… Our only standard of care. Regional Medical Center Bayonet Point is a 290 bed acute care facility with a long and illustrious history of providing the highest level of critical care for our community. Founded in 1981 it was the first hospital to be built in northwest Pasco County serving residents in Pasco, Hernando, and Citrus counties. It was the first hospital to deliver a comprehensive cardiac and open heart program. Our reputation for providing compassionate and innovative care to those in need is built on the foundation of excellence in patient care. Our quality programs have been recognized for excellence by US News & World Report, Thompson Reuters, UnitedHealth and the American Heart Association, to name a few. We are a Level II Trauma Center. 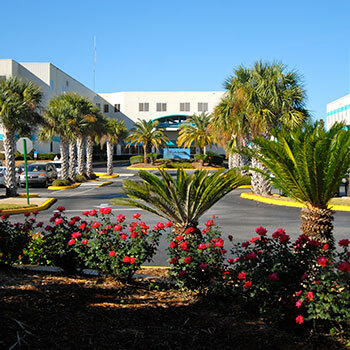 Regional Medical Center Bayonet Point is the only trauma center in Pasco, Hernando, and Citrus Counties. Establishing the region’s only trauma center was a natural step in our mission to delivering high quality life saving care. Our trauma program leverages the strengths through affiliation of both HCA Florida and USF. USF is a leading major academic university and medical school and HCA is the nation’s leading provider in healthcare services. Our medical staff is one of the finest in the state. Many of our physicians enjoy excellent reputations as being the most experienced practitioners in their field. And now, we have recently been approved to become a medical teaching institution through the establishment of medical residency programs. The first group of residents started in July of 2014. This is the hospital’s first step in developing graduate medical education (GME) residency programs and a logical progression as RMCBP continues to expand its tertiary and specialty programs.